The goal of Ying Xue’s research is to develop empirical evidence to guide national policies to optimize the nursing workforce and to improve health care delivery and outcomes, especially among vulnerable populations. Her research has examined the pivotal role of nurses in health care delivery and outcomes, including evidence on quality of care and cost-effectiveness. This work encompasses historical and geographical trends in the nursing workforce, especially related to nursing workforce shortages and workforce diversity, including job satisfaction among racial and ethnic minority nurses. Recent health care reforms designed to reduce health inequalities by addressing access to quality care require much-needed research and policy guidance on the optimal role and contributions of nursing to advance these reforms. Xue’s current research thus focuses on examining the role of nurse practitioners in improving primary care delivery for vulnerable populations. This work includes evaluation of the impact of federal and state regulations and policies on the availability and care delivery of nurse practitioners and access to primary care among vulnerable populations, and examination of the specific roles, tasks, and collaboration among primary care providers, including nurse practitioners, to identify strategies associated with improved efficiency and quality of primary care delivery. 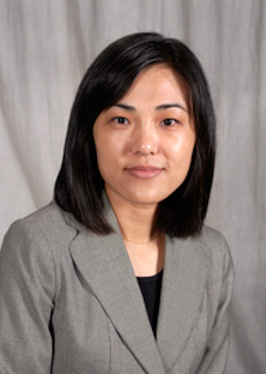 Prior to coming to the University of Rochester, Xue earned her doctoral degree in nursing at Yale University and completed a two-year postdoctoral fellowship at the Center for Health Outcomes and Policy Research at the University of Pennsylvania. Hospital Use of Supplemental Nurses and Patient Mortality and Failure to Rescue. Does use of supplemental nurses increase hospital length of stay? National trends of supplemental nurses' characteristics from 1984 to 2004. Chair. Call-for-paper session "Nursing process of care and job experience"
Does use of supplemental nurses increase hospital cost? Simpson, A., Groth, S., Fernandes, D., Xue, Y. (2015). Women's Beliefs About and Self-Efficacy Toward Physical Activity During Pregnancy. Nursing Research, 64 (2), E23-E23. Xue Y, Brewer C. (2014). Racial and Ethnic Diversity of the U.S. National Nurse Workforce. Policy Politics and Nursing Practice. O'Brien, S. R., Xue, Y., Ingersoll, G., & Kelly, A. (2013). Shorter length of stay is associated with worse functional outcomes for medicare beneficiaries with stroke. Physical therapy, 93 (12), 1592-1602. Lowey, S.E., Powers, B.A., & Xue, Y. (2013). Short of breath and dying: State of the science on opioid agents for the palliation of refractory dyspnea in older adults. Journal of Gerontological Nursing, 39, 43-52. Xue, Y., Aiken, LH., Freund, DA., Noyes, K (2012). Quality outcomes of hospital supplemental nurse staffing. Journal of Nursing Administration, 42 (12), 580-585. Aiken, L.H., Xue, Y., Clarke, S.P., & Sloane, D.M. (2007). Supplemental nurse staffing in hospitals and quality of care. Journal of Nursing Administration, 37 (7), 335-342. Xue, Y., Schulman-Green, D., Czaplinski, C., Harris, D., & McCorkle, R. (2007). Pain attitudes and knowledge among nurses, pharmacists and physicians on an inpatient oncology service. Clinical Journal of Oncology Nursing, 11 (5), 687-95. Schulman-Green, D., Harris, D., Xue, Y., Loseth, D., Czaplinski, C., Donovan, C., et al. (2005). Unlicensed staff members' experiences with patients' pain on an inpatient oncology unit: Implications for redesigning the care delivery system. Cancer Nursing, 28 (5), 340-347. Xue, Y., Milone-Nuzzo, P. (2004). Development of hospice in China. Caring, 23 (1), 34-36. Xue, Y., Cohen, S.S. (2004). Dietary supplements: policy and research implications for nurses. Journal of Policy, Politics, & Nursing Practice, 5 (3), 149-159. Zou, D.H., Xue, Y., Wang, C.M., and Kim, I. (1999). Assessing palliative care educational needs amongst working nurses, nursing students, and educators in Tianjin, China. Chinese Journal of Clinical Oncology, 26, 4-8. Cui, Y.T., Xue, Y., and Jiao, D.Y. (1997). The diagnosis criteria of brain death and the value of various equipment examinations. Chinese Hospice Journal, 2 (1), 1-5.